With the NFL regular season just around the corner, one man decided to continue building the pressure around the Washington Redskins' franchise with his shirt mocking the team name. And man, this is a good one. 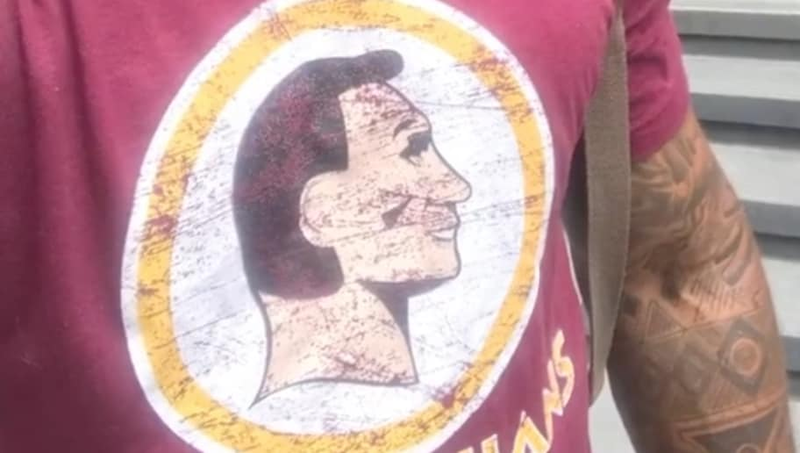 Many people find the Redskins team name and logo offensive, and Frederick Joseph wanted to prove that point by creating the t-shirt with a new logo and the name "Caucasians" to see how people felt. Predictably, people got upset on the streets of Manhattan, yelling rude remarks at him as he just walked around. This certainly calls into question how there isn't more outrage over the Redskins' team name. This issue has been a hot topic for many years now in the NFL, and if you feel as strongly about it as Frederick Joseph, you can buy one of the shirts and see how people react for yourself. While it may not convince team owner Dan Snyder to finally change the name, it's a step in the right direction and continues to add fuel to the fire.